Even though Facebook launched a failed bid to get Snapchat some time ago, it has also introduced many features which are similar to the picture messaging service. From the statistics, the latest update to its iOS app adds Snapchat-esque photo editing tools on Facebook. 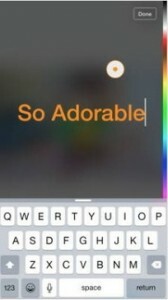 Thanks to this update app, the users can edit text, filters, and stickers to the photos when they upload them. Those features have been tested by Facebook in its standalone apps. Those standalone apps are including Stickered and Slingshot. Therefore, Facebook is now apply those features to its core application. A magic wand icon will be seen in the bottom corner by the users who used the update app after they have uploaded a photo. Then they could continue the next step as the instructions. When they upload the photos, the photo editor menu will be showed to the users. 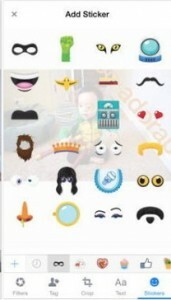 It provides users the options for filters, applying text, tagging friends, crop tools and editing stickers as they need. The reports implied that the update app will be released to the iOS users around the world soon. It won’t take too long that the update app supports Android users in the near future. 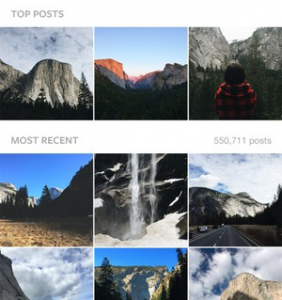 Instagram has launched a major update and it enables to check its Explore page and introduce broader search options. The photos service wants to be turning to place for real-time updates, it can bring more users to read the real-time content by adding trending Tags and Places. These real-time updates will be noted with the targeted posts, according to the things that users whether they have liked or have followed the posts. The updates are served up by the previous system. The display collections of photos are classified by specific subjects that will appear at the top of the page which update twice a week. The modified search engine enables users to ask for requests due to places, not just base on people and tags. In the meanwhile, the top Search options tracks all three fields for updating. It added, there are enrich contents to access which are unique reported, the topics are not just what the community talking about. The contents are based on real experience. The latest update version is available to download from June 24. The modified Explore page is US, it is just for time being. It is said that the Instagram has plans to introduce its new features to the world. It is a week away from Apple Music’s launching. And it is no doubt that its competitors are uncomfortable with its launching. It is always high competition in tech field. To compete with Apple Music, Google Play Music introduced a new free, ad-supported version before Apple Music launches. Google provides a Pandora-like radio streaming service to everyone first in the United States, and the radio streaming service consists of curated playlists and automatically generated streams. This service has its limitation as the users can not pick any song they want just as they did on Spotify’s free tiers. Google Play Music’s vice president of partnership Zahavah Levine said: “they think more users will become paying subscribers as the service providing them a taste of its new feature through the ad-supported tier.” He added, it has potential to bring more users into Google Play music. Now this service is available on the web, and it will also introduce iOS and Android apps in the next few days on the web. Apple is going to launch its Apple Music on its own 24-hour online radio station beats on June 30, confirmed by former Radio 1 DJ Zane Lowe. The game named Fallout Shelter has been accepted by the customers and it runs quite well on the App Store. Fallout Shelter’s sales performance is running good and it is making more profit for the vendor than Candy Crush Saga does. App Annie collected the data that indicates Bethesda’s base building game reaches the fourth highest grossing iOS app in the United States. While the Candy Crush Saga ranks in the fifth according to the data. The other top three highest grossing games before Fallout Shelter are Clash of Clans, Game of War- Fire Age, and a music app Pandora Radio. 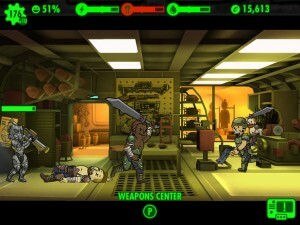 It is said that Fallout Shelter’s success in finance can be attributed to the sale of in-game lunchboxes, along with the feature the players can purchase to help the game characters keep running fast. It is not the only way to invest to gain financial success as the game can earn more money via the players’ playtime along. Fallout Shelter becomes the popular download free application in the United States now. Bethesda has plans to launch the mobile game to Android devices very soon. According to the report of GL.biz, the developer has not unveiled how much it earns through its game Fallout Shelter, however, Candy Crush Saga earned $ 2 billion each day during the spring season of 2015 by targeting on all platforms. Big news from Twitter that it is going to be more annoying as this social network has collaborate with Facebook and Instagram to support autoplay videos. The users can share the videos on Twitter with its newly-launched video sharing tool that created by Vine videos , GIFs and clips. This new sharing tool will play the videos automatically when the users swipe down over them. The autoplay is a new setting on Twitter, the users can also readjust the setting with personal preferences by reverting to the click-to-play setting. 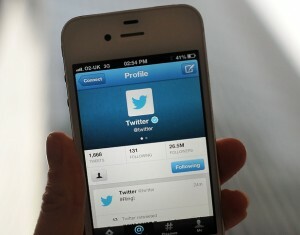 It is announced by Twitter that the new feature will enhance its performance on the network, however, to reach a better performance relies on advertising revenue. The more ads its made, it better for its popularity. David Regan, senior product manager of Twitter stated in a blog post that through the way to introduce the autoplay and make clear position on viewablility, they assume Twitter is the advanced platform for users to share and post the high-quality video content in the world. The new feature is being modified in on iOS and the web now. The Android users can set this feature to receive the autoplay video in the near future. Microsoft released the Xbox one becomes backwards compatible in via its official statement, and this feature will allow users to play Xbox 360 on the control panel. 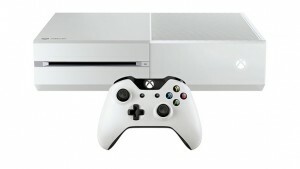 The players will have access to the Xbox 360 exclusive features as the digital titles and physical release will operate on the current-generation system. As reported, the Microsoft company announced this news during its introduction of E3 2015 in Microsoft’s Xbox press conference. Its old generation games will support Xbox one features like screenshots and broadcasting, and the developers is easy with either to modify their software to make this possible or not. In another word, the developers don’t have to modify the software to use this feature. It is confirmed by the Microsoft representative that the Microsoft company won’t charge the players to play the games if they have owned the games as he reported on stage of E3. The Xbox Preview members can apply this feature of backwards compatibility from June 15. So you are a Preview member, you can experience its new feature now. And backwards compatibility will be free for everyone to experience this feature from the Christmas holiday. For further information of this new feature, please stay close to Microsoft news. A sim card will be automatically connecting to the moblie phone internet and offering the high-quality signal is made to be on sale in the UK. To solve the problem of hotspot around Britian that the connectivity is typivally weak, the Anywhere Sim card enables national roaming on the moblie phone. Report from BBC news, the Anywhere Sim charges the customers 5p a minute for calls, 5p per SMS Tex and 5p per megabyte of data and the Sim card is limited to 3G for the time being. Vodafone, EE, O2 and Three have faced much pressure from the UK government to provide national romaing to the customers, but they have resisted so far. There are also disadvantages to Anywhere Sim service. For example, the users won’t be able to swithc to another network during the mid-call and they must wait for the calls to cut out, after that they can move to a different operator. Even though the customers who register for the basic service that enables to receive calls across the network, they are not able to use the dail-outs and date except on O2 system. Anywerhe Sim card will charge double when this is extended to include all operators. The Lancashire-based is going to launchAnywhere Sim service within five weeks. They will sell the SIMS as pay-as-you-go mean on its own website, eBay and Amazon. News from cloud provider Amazon Web services that it has plans to build a 80 megawatt solar far in the US to enhance its global connection of date centres for the usage of renewable engery. The project will be located in Virginia that named Amzon Solar Farm US East. This solar farm is predicted to generate 170,000 megwatt hours of solar power each year. It will make sure for the power application to 15,000 families by October 2016. It is said AWS will be the largest solar farm in Virginia as it has teamed up with Community Energy to build the facility. They will delivere the energy which generating from the farm into the electrical grids to supply the existing and future data centres. To achieve 100 percent renewable energy usage for global infrastructure, AWS announced the long-term plans for this target last November. However, the announcement was disbuted due to unmature proposal. There was no clear plan claimed to achieve the goal. Recently, Greenpeace has talked with AWS on multiple occassions for further discussion. It is not sure whether the Greenpeace refuse running its facilities on renewable energy or use the energy produced by non-renewable resources. The environmental activist group published a letter from 19 AWS customers this week. It also published the likes of Thoughtworks and The Huffington Post, this letter called on the transparency of the types of energy sources powering its infrastructure provided by the company. To answer this news, AWS gave the reason that its customers use a small amount of servers and energy which leading to fewer carbon emissions than businesses running their own data centres. However, the lack of transparency on its use of renewable energy concerned by the public was not addressed by AWS. The company confirmed about 25 percent of AWS’ infrastructure is powered by renewable energy at present. And the company’s goal is to reach 40 percent by the end of next year. High tech products rely on advanced energy. It is said that Technology giants Apple, Google and Facebook are also working on how to reach their renewable energy goals. It is acknowledged that 87 percent of Apple’s operations run on renewable energy. Last year, Facebook run a data centre entirely generated electricity by wind energy. It has addressed it will test solar-powered drones to provide internet access to remote areass. At the same time, Google announced 100 perecent recycled water will be used at its second Singapore data centre. Recently, Amazon is also working on building a wind farm to power its data centres. The regional government of Wales has made plans to outlaw e-cigarettes in public places. It will be banned in this area soon. The Labour-led government also wants to restrict the use of chemical inhalers as their paper-based counterparts, news coming from The Guardian. Those measures are just part of a broader scheme in order to improve the health condition of the Welsh nation. There are also other plans including compulsory licensing of tattooing, acupuncture and body piercing business. 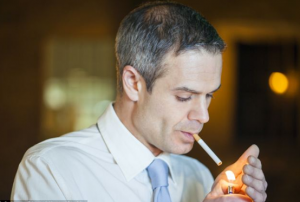 The businessmen are forbidden to sell nicotine and tobacco products to people are under 18. Nicotine and tobacco are not good for health. Mark Darkeford, the minister of from Welsh health and social service said the Welsh government has obligation to provide healthy environments that enable the local people to live healthy, happy lives and prevents the people from harming health by the living condition. He added:”the government has strong tradition of using legal ways to improve health for the public”. And he said he is confident with the proposal as the measures in Public Health Bill will support its implementation. At the same time, a ban on e-cigarettes has been introduced by train operator Southern Rail recently in England in order to comfort its other passengers. You can see the first look at its iOS 9 mobile operating system launched by Apple at the Worldwide Developers Conference. The new version software is said to improve battery life, performance and security. It provides the users an intelligent experience. The improvements include Siri with the virtual assistance set to become 40% more accurate and 40% quicker at responding to queries. Siri will be able to respond to a broader ranger of requests, for example it will be capable of locating specific photos and videos. The engineers adjust the assistant more closely with search, locating images either they are stored locally or on a social network. The engineers also unit the services such as Netflix for movie queries. The iOS9 users can set an appointment into the calender app and they are informed by the device when they need to do according to the appointment. iOS 9 will instruct the users which apps should open first in the morning according to their daily life schedule. iOS lengthens its battery life by the iPhone’s runtime extending up to one hour of the general one. It is set by a “low power” mode which will extend the usage with three more hours. The device demands only 1.3GB of storage space, it takes up less than iOS 8 did. 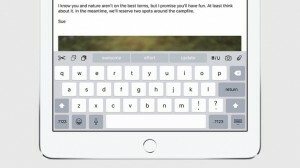 iPad users will find out its excellent benefits on iOS 9 for new shortcuts on the suggestions bar at the top of the Quick Type keyboard and fully-fledged multitasking. The iPad Air 2 has the limitation of hald-and-half split view, it will work with the flagship tablet while picture-in-picture. 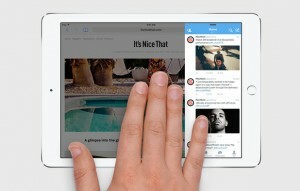 The iPad Air, iPad mini 2 and iPad mini 3 also work in similar principles. The iOS 9 will be on a public trial in July for the mobile operating system. The software will be able to use as a free upgrade in the autumn and it is compatible with iOS 8.